1. Put all the ingredients in a small blender and whizz until completely smooth. Transfer to a small saucepan and put over a low-medium heat. 2. Bring to the boil then reduce the heat and simmer gently for 12-15 minutes, stirring often, until the sauce has reduced by 1 /3. Season, allow to cool then store in the fridge for up to 1 week. 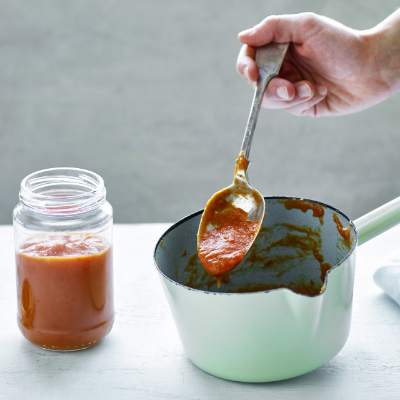 Use as a hot sauce or dip for tacos, quesadillas or burritos.